Patty and I like to visit Florida during the winter. It is cold where we live, and if we can get away for even a little while, we jump at the chance. The older we get, the longer we want to stay where it is warm. One of our favorite places is Anna Maria Island, Florida. The locals refer to the place as AMI. 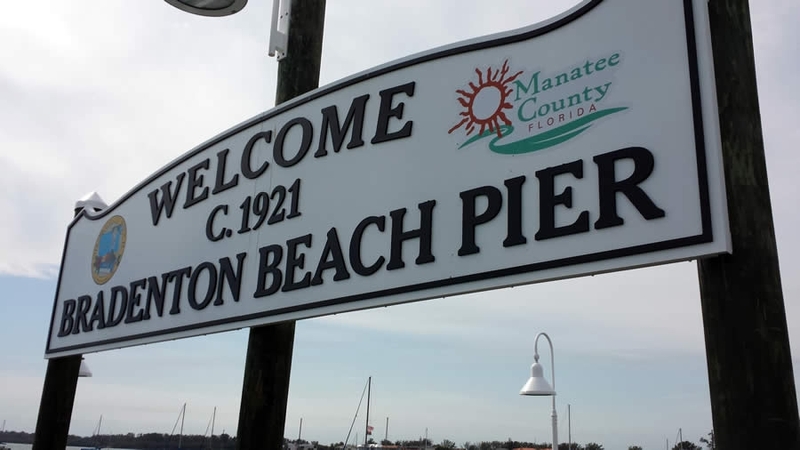 It is on the gulf side, very near Sarasota, just across the bridge from Bradenton. 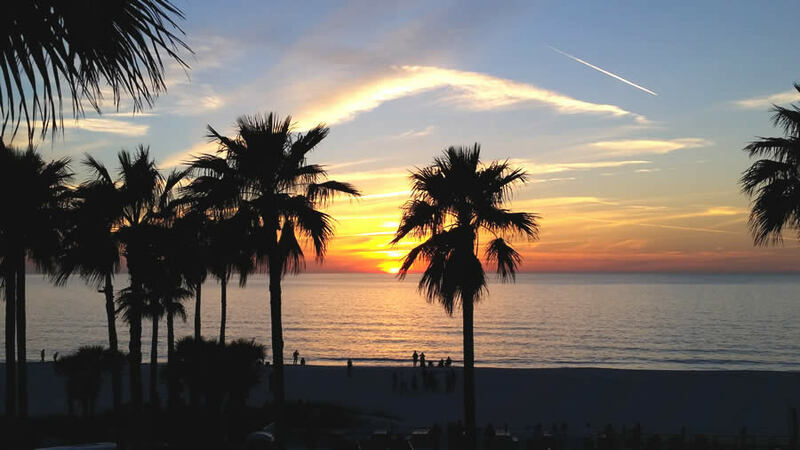 Anna Maria Island is a stretch of beach seven miles long and it has been described to us as “Old Florida”, with nary a high-rise hotel, tons of small local restaurants, seafood galore, and exceedingly friendly people. As foodies, we cook most of the days we are there, but we also can’t resist the local cuisine, especially when there is so much to offer. Bear in mind –Patty and I are all over the map in the types of food we enjoy. While we certainly love a French-style boned duck, we also love a good grouper sandwich, and as much as we love a crisp white tablecloth with dim lights and soft music, we also love an atmospheric seaside shack with seafood fresh from the ocean. Here are some of our favorite places. This list is in no particular order. We love them all, and where we go depends on our mood. Let us know if you try any of them. Here goes! We visited this restaurant on a recommendation and were very happy we did. We stopped in for breakfast and it’s a cute little place with tables spread into multiple rooms. Mermaid art adorns the walls. The Eggs Andrea, which is basically a benedict with sautéed spinach on a croissant, is a good choice, as is the mahi and crab bundle encased in phylo dough served with a sundried tomato cream. Also, we loved the orange blossom baked brie with honey. So good! We’d go back just for that. Quite French in style. Shout out to our friends down below at the Island Times Bar and Grill. Bridge Street Bistro is the higher end restaurant above the bar. With a phenomenal view and an excellent menu, this is one of our favorite places to dine. The seafood risotto had an unbelievable amount of seafood, including lobster claws, scallops, shrimp and clams. Surf and turf was great. Try the lobster fritters, deep fried lobster claws in a tasty dough, served with a dipping sauce. We sometimes go in just for these as an appetizer. Three words – Shrimp and Grits. Their shrimp and grits were our favorite of anywhere on or near the island, and maybe anywhere else. The grits are uber creamy and cheesy, with nicely seared shrimp and a rich tomato-based sauce. It’s a recipe I want to learn! I vow to do so. It’s tough to get into this place, so call ahead. This is another local favorite. Sushi, and very good sushi. The owners recently closed their smaller restaurant and opened a new one on the far north end. The new place has an excellent view of the harbor area. For those who love good sushi. 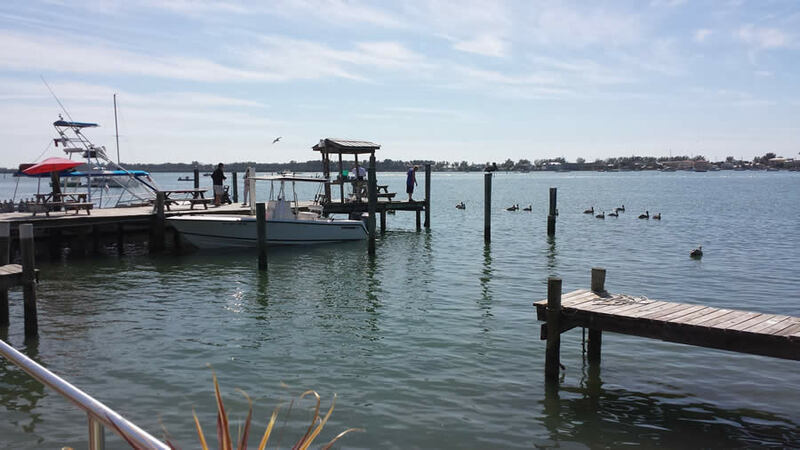 Just over the bridge in Long Boat Key, Euphemia Haye is a fine dining establishment that is chef owned and operated. They are famous for their roasted duckling, a crisp roasted duck, partially boned, filled with bread stuffing and served with tangy sweet seasonal fruit sauce. I could barely finish it. Patty had the Key West Snapper, which she loved, but her personal highlight were the fried green tomatoes, so lightly fried and an experience unto themselves. Upstairs is the Haye Loft, a walk-in bar with a menu of lighter bites and usually some live music. While admittedly more of a tourist spot, the Sandbar Sunday Brunch is an excellent dining experience. When you pair a large menu offering with one of the most amazing beach views around, it is hard to go wrong. We sat literally right next to the beach and enjoyed our mimosas and brunch meals. Order the crab-stuffed heirloom tomatoes. Wow! Once wetried them, I realized it is something I’d love to make for a Mother’s Day brunch. This is a local favorite. The place is jammed every time we go, so you’ll need reservations. I personally wasn’t in love with the seating or the food presentation, but the stuffed peppadews served with an herbed lime-goat cheese dipping sauce were delicious and Patty enjoyed her shrimp and grits with chunks of chorizo. This place is worth checking out. As mentioned, we love good food no matter where it comes from. The restaurants on this list may not be fine dining, but they’re tops for us. We never miss out on this place. Just over the bridge in Cortez, you’ll drive through the neighborhood homes to get there and it doesn’t look like much, just a shack on the water, but they serve the freshest seafood around. The place gets crowed early, so plan accordingly, and it is cash only. You’ll stand in line a while, but it is worth it. 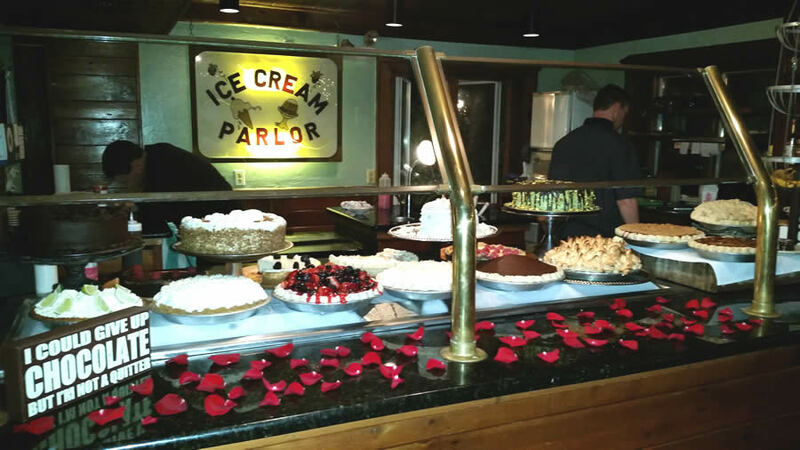 Try the stone crab chowder and Patty’s favorite, the gator sausage. Cool bar alert! Just across from AMI, on the water, Tide Tables is an awesome little bar with a super friendly staff and great food. 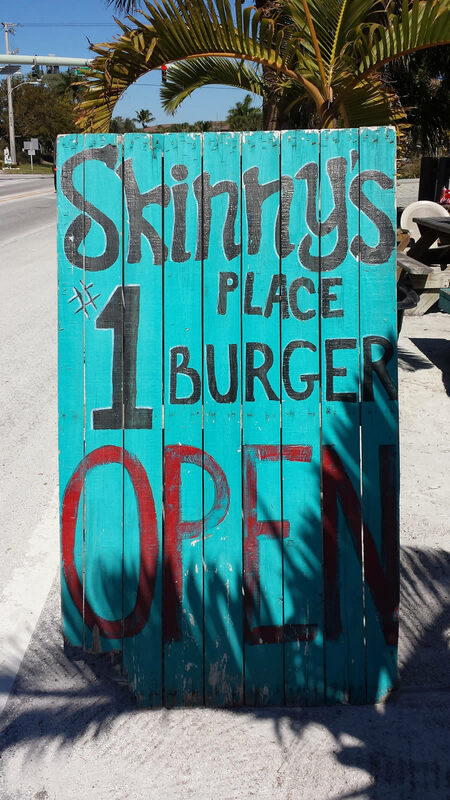 They served up one of our favorite blackened grouper sandwiches on the island, caught fresh that day, and the beer prices are very reasonable, too. Also, try the fried shrimp po’boy with an excellent remoulade. This place has a killer view. This place is another shack of a restaurant, but they’re close to the public beach and serve up greasygrilled smash burgers that are the definition of decadence. If you’re looking for a burger, this is the local’s favorite, and one of ours as well. 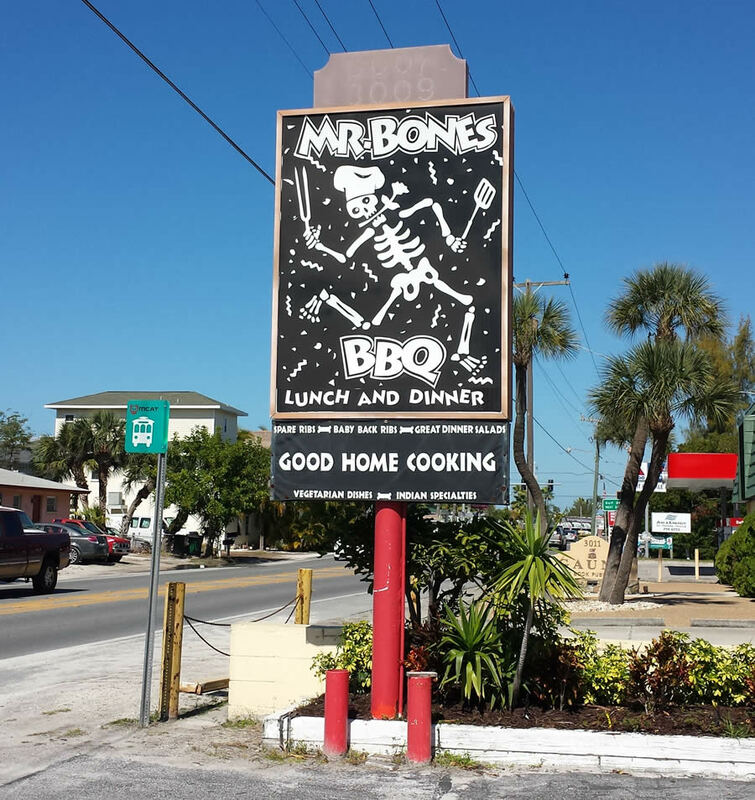 Another famous place on the island, Mr. Bones serves up excellent barbecue along with a rather huge menu of offerings. I almost always opt for the slow cooked ribs and spicy barbecue sauce, but there is so much more to try. The chicken wings are good, too. It is not only a local favorite, but people drive from all over to visit here. Grab a beer out of their coffin. We learned about Jose’s because it was featured in “Diners, Drive-Ins and Dives” and weren’t sure what to expect. It certainly has a diner feel and it isn’t much to look at, but the staff is among the friendliest we have ever seen and the food was stellar. The cooks behind the counter immediately offered us samples of their slow cooked pork and beef, which we promptly ordered, and could not finish. The Cubans are, expectedly, outstanding. Also, try the yucca soup. Jose is a real character. I hope you get to meet him. 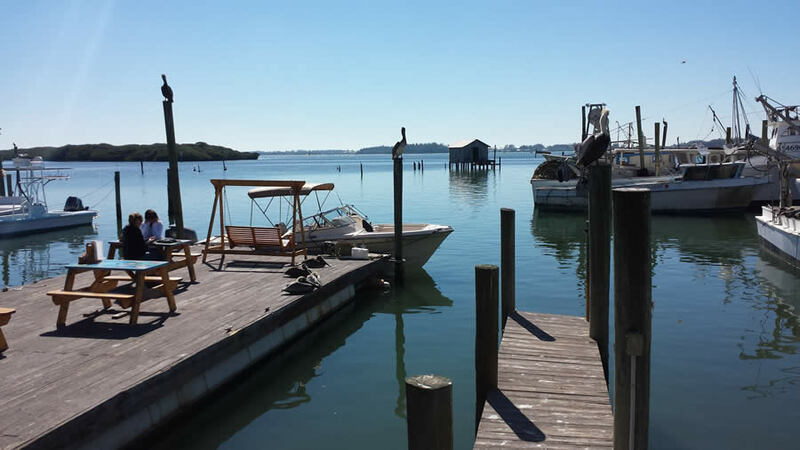 While not exactly close to AMI, the Old Salty Dog is a gorgeous, sunny 20-minutedrive through Long Boat Key to the edge of Sarasota, where it sits along the water with views of the serene bridge connecting them to Lido Key. This is a bar, people. It was featured on “Man Vs. Food” several years back, and while I can’t say I personally recommend that crazy hot dog concoction, I want this one on the list for the view alone. I love this place!